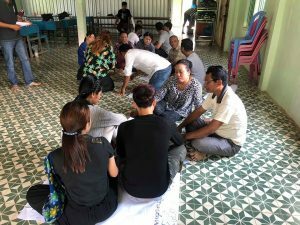 Last Saturday May 19th, the staff and teachers from our three Cambodian after-school holistic child development centers called the Houses of Love, of Joy, and of Peace gathered together for training about child protection from abuse and trafficking. 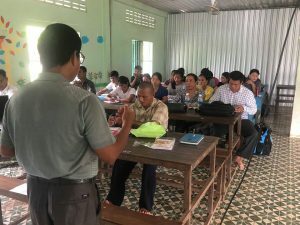 This is the first training session on this subject and many of the staff said they found it extremely helpful because of the prevalence of child abuse in Cambodia and the various ways it can happen. The training taught the teachers how to look for warning signs and gave them valuable information which they can pass onto the children and families about how to prevent child abuse and trafficking. The discussion which the group engaged in created many ideas of how these holistic development centers can keep the children safe and happy, and the staff are thankful for the donors whose support made this training possible!